As new house builds fill every available space and buildings continually rise upwards, having your own garden is a real luxury. 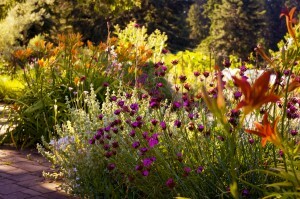 So it’s vital that your garden fulfils its potential and like the plants and soil it is nourished and treasured. Whether you own the house of your dreams with a fully landscaped garden or a small courtyard, you should to be inspired by your garden. In these days of TV garden makeovers, “no going back” and “grand designs”, lifestyle magazines and web sites, the incessant messages can leave you not knowing where to start. There are so many options; from the design to the structural elements, the garden features to the planting, that you are often left bewildered. But don’t let the grass grow under your feet, contact me, I am a landscape gardening expert and am happy to visit you at home and plan a design that brings out the best in your garden. 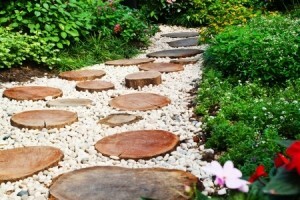 Landscaping your garden is one of the best ways to increase the value of your property. You may not have room for trees but “mighty oaks from little acorns grow” so the earlier you develop your garden, the longer you have to watch it mature and enjoy it. I would prefer to think about the plants and the soil, the design and layout in your garden, but I appreciate that you are spending hard earned cash and will weigh up a garden redesign against the other priorities in your busy life. 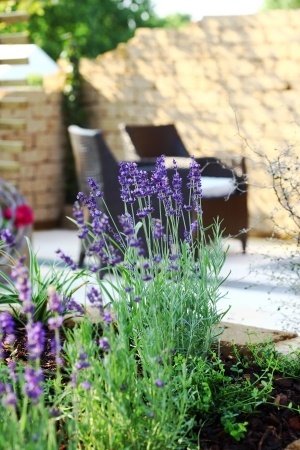 However, if we look at the payback on an investment in your garden, in the UK, the average impact of a well-designed and maintained garden is a 10%increase in the property price. 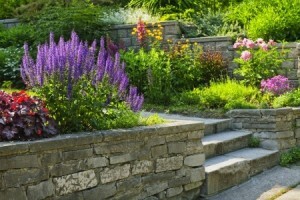 Properties with beautiful gardens also sell far quicker. Globally, an investment into your garden landscaping and maintenance will return 310% if the property is sold. Garden payback – What adds the most value? I design low maintenance gardens that are tranquil spots to relax and forget the demands of modern life. An unloved or unsightly outdoor space can be an annoyance so call me or email and everything in the garden will be rosy.